MEOW (stands for Memorize Open Windows) reopens messages (Outlook), documents (Word) and workbooks (Excel) that were open during the last Outlook/Word/Excel session. 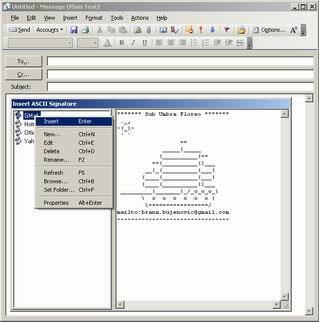 MEOW consists of 4 COM add-ins and central graphical interface. Addins are: Windows Manager for Outlook, Windows Manager for Word, Windows Manager for Excel and Windows Manager for Access. Supported Office versions are: Microsoft Office 2000/2/3/7/10/13. Custom Quote Addin allows us to quote (or unquote) selected text in Outlook e-mail messages. deleting duplicate e-mails for Microsoft Outlook. 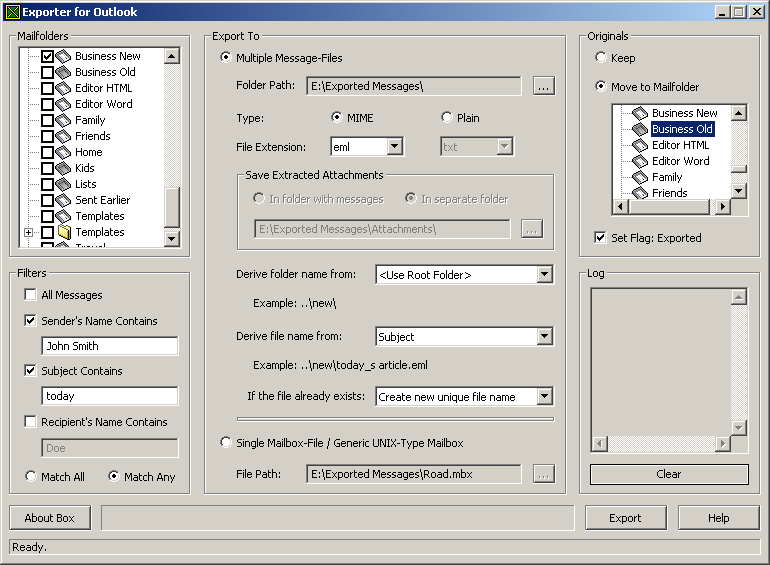 Exporter for Outlook is powerful and flexible tool which exports entire or partial messages, contacts, reports, notes and tasks from your Outlook folders to standardized message, mailbox (RFC/MIME) or plain text files. Furthermore, you can use Exporter to extract attachments and embedded files from Outlook pst-files, create mail-digest, import messages to other mail clients, or simply archive or backup your mailfolders in very accessible format. 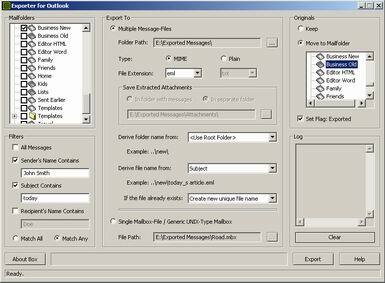 Exporter is developed primarily as Outlook's companion, rather then a migration utility. Exported (source) messages can be automatically flagged and/or moved to another mailfolder. Demo-Mode Restriction: 10 messages/tasks/reports per folder. Feed2Outlook allows us to pass articles from Rooster RSS reader to our Outlook Inbox! 1. Download & install Rooster RSS Reader (version 2.0 or newer). 2. Start Rooster, click Options/EDS and check "Automation Enabled".